Capable. Versatile. Intelligent. The 2018 Dodge Durango is here, and it’s making waves in the SUV segment. The newest Durango has all the swagger and charm that you’d expect from a Dodge SUV, along with more capability than you ever thought possible. 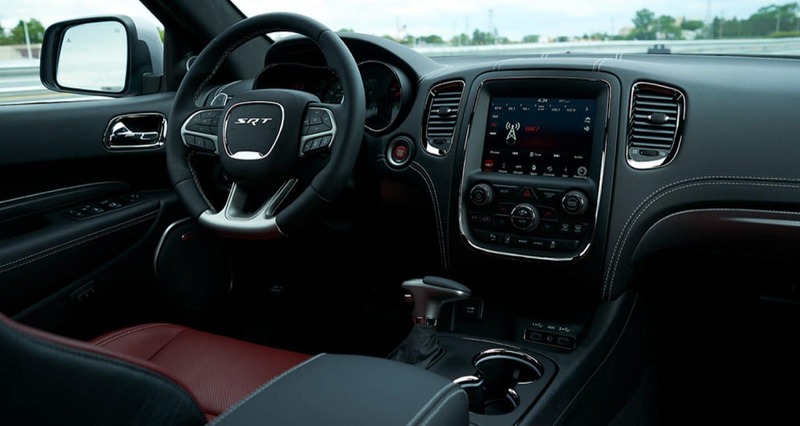 If you’re looking for a vehicle that has killer style, mind-boggling performance and an exceptionally spacious interior, you’ll find it at Landers Chrysler Dodge Jeep Ram in Norman, Oklahoma. Landers CDJR of Norman customers come in from across the Oklahoma City metro, including Edmond, Moore, Midwest City, Yukon and Del City. Come on in and see the 2018 Dodge Durango in person today. Have you ever heard of a highly capable SUV that has more than 50 different seating configurations? We’ve only heard of one. 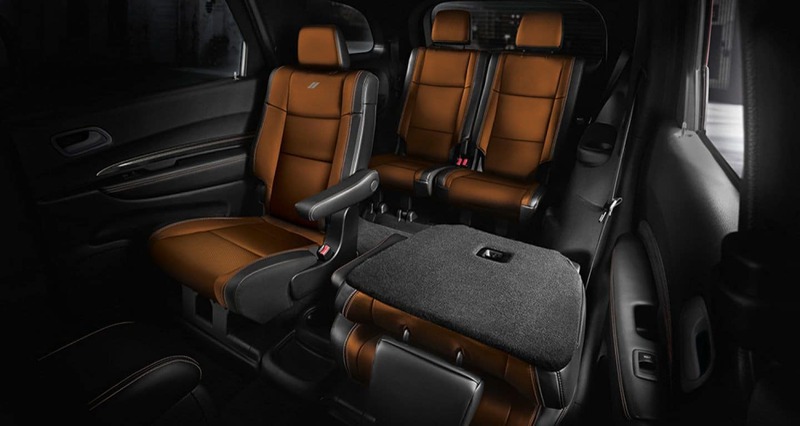 The 2018 Dodge Durango has seating for up to seven people and every configuration imaginable to fit all your passengers and cargo where and when you need them. Available premium second-row Fold & Tumble captain’s chairs allow your passengers to move easily from the second to the third row between the chairs — when the vehicle is safely parked, of course. Up to 84.5 cubic feet of cargo space means you don’t have to choose between people and stuff. The 2018 Durango can adapt to what you need at any moment. The Durango doesn’t miss the mark on comfort, either. With plush cloth seats or available Nappa leather-trimmed seats, this ride takes lazy-boy comfort to the road. Up front, both the driver and passenger can enjoy available heated and ventilated eight-way power seats with four-way power lumbar adjustment. The 2018 Dodge Durango looks like the coolest kid in school, but it’s far from all brawn and no brains. In fact, the newest Durango has the most intuitive infotainment system out there. You get your choice of the Uconnect 4 or the Uconnect 4C NAV. The Uconnect 4C NAV is a little bigger, featuring an 8.4-inch touchscreen with navigation. It’s compatible with Android Auto and Apple Carplay, and it also offers available SiriusXM Satellite Radio and SiriusXM Guardian. SiriusXM Guardian gives you greater remote access and control, so you can stay connected to your Durango in more ways than ever. It offers Roadside Assistance too, so you can get help wherever you are. In the 2018 Durango, you can also take advantage of tech features like available bluetooth streaming audio and dual-screen Blu-Ray entertainment for your back seat passengers. The SUV has available HDMI, USB and power outlets throughout. A lot of SUVs claim to be versatile and capable, but few can really back up that claim. The 2018 Dodge Durango is one of the few. With two available all-wheel-drive systems and your choice of engines, this SUV does not play around. Even if you go with the standard package, you’ll be getting a 3.6L Pentastar V6 engine that can tow up to 6,200 pounds. Take it a step up, and the available 5.7L HEMI V8 engine is putting out 360 horsepower with a towing capacity of up to 7,400 pounds. If you want to really bring out the big guns, you can opt for the 6.4L HEMI engine that offers 475 horsepower, 470 lb-ft of torque and a max towing capacity of 8,700 pounds. We think it goes without saying, but…yeah. It’s best in class. With additional features like Trailer Sway Control, the list of things this Dodge can’t do is pretty short. You can always trust the 2018 Dodge Durango to have your back, because it’s designed to help make you feel secure behind the wheel. The Durango has a number of features to help keep you and your loved ones safe and secure on the road. The Durango helps you avoid potential accidents with the standard ParkView rear backup camera and available park assist. When you’re cruising down the interstate, the available adaptive cruise control with stop will automatically adjust your vehicle’s cruising speed when slower traffic is detected, and it will help maintain your set distance from the car in front of you. The available blind spot monitoring system helps keep you aware of vehicles outside your peripheral vision by alerting you when a car enters one of your blind spot zones. You can feel good about driving even when it’s icy or wet, because Electronic Stability Control monitors your steering input and vehicle motion to help you maintain directional control. We could keep going, but you get the picture. In the 2018 Durango, your safety is a priority. The 2018 Dodge Durango is one of those vehicles that you just have to experience for yourself. 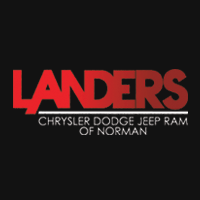 Landers Chrysler Dodge Jeep Ram of Norman is the perfect place to get behind the wheel and take one out for a spin. Come see us today to check out the swoon-worthy SUV in person, or check out our inventory online. 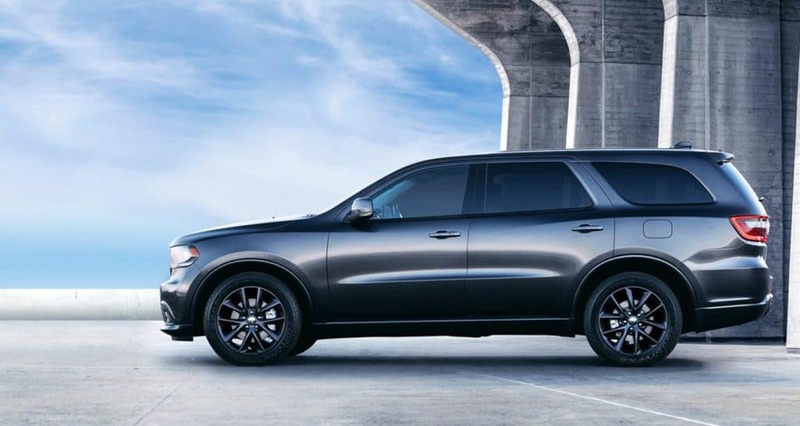 Browse our Dodge Durango inventory online.